I envy anyone coming upon the endearingly irresistible adventures of this very merry band of friends for the first time. They offer a phantasmagoria of wit, wisdom, and Betty Bacall, and this new posting is one of the best, so chock full of jokes, memorable lines, and pop culture tidbits that the only response when it finishes is to replay and replay again. The episodes are infrequent, so embrace them when they arrive, and just be grateful that the archives are available and reward multiple visits. 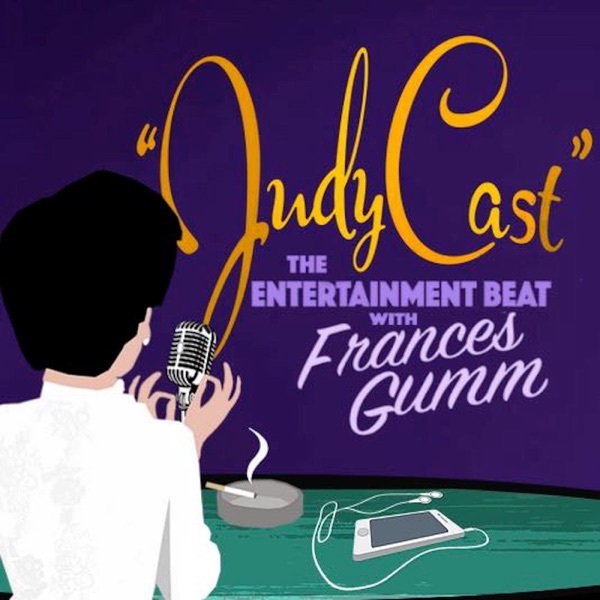 I have loved this podcast since it's inception, and if you're a Judy Garland fan, so will you! I love this podcast. I've never laughed harder in my life. My absolute favorite is the episode with Carol singing Erotica. I laughed so hard I cried. Love love love love. There is not, has never been, and will never be anything like it. It is a work of genius. And if you don't get the jokes, well that's *your* problem. There isn't enough room here to describe the brilliance of this podcast. I'll try. Bill Phair is a genius mixing pop culture with musical theatre innuendos with a dose of mash-ups. If you know the broadway scene mixed with relevant news- this is your podcast. A talented individual with a musical theatre library of 'off the cuff' references/nuances+ a dash of shade within current events: buckle your seat belts. It's an amazing ride! She's back and better than ever! I am so so so so happy that JudyCast is back! This newest episode is just like the golden era of JudyCast 10 years ago! Witty and silly and filled with hidden Easter Eggs for fans of popular culture. Not to mention old Hollywood. When Katharine Hepburn shows up to say two lines I just died! Not to mention how it merits repeat listens because it's impossible to catch all the creativity in there! Not even a PokemonGo Gym Trainer can catch them all in one try! Listen please and I look forward to future episodes!! So many layers, so much brilliance! The references come so fast and furiously in JUDYCAST! So many layers, so much brilliance! What an incredible treat this show is! I live for every time Carol Channing says "raspberries," but the entire range of voices is uncannily spot on. This show is an infrequent but always welcome affectionate work of satire. It's nearly impossible to describe this podcast. It's much more than a mere impersonation of some iconic stars of stage and screen - it's an art form all on its own. Subsequent listens unravel this delightful puzzle. I love listening to these funny, clever and imaginative JudyCast podcasts and I'm glad to see there is a new episode! The cast of characters is always entertaining and the obscure rapid fire showbiz references and campy audio clips keep things lively, but the best part is hearing Judy come to life singing songs and saying things exactly the way we imagine she would. "Neil Simon's Cats." Who else would think of that but the JudyCast? Don't miss all the fun. But if you want to know how I really feel: More, more, more! I have been listening to this podcast since 2006. It has given me so much joy and I listen to all the episodes again at least once a year. Bill Phair is so clever, it's kind of unbelievable how clever and funny he is. His impersonations are terrific, his editing is terrific, the sampling of different clips is so fun. So glad there's a new episode! Few things have made me laugh as much as Judycast. For creativty, humor and sheer talents it's hard to beat Billyboy as he channels some of the biggest stars of the 20th century from Judy Garland to Gollum. Even if you're not a fan of Judy, Bernadette Peters or Carol Channing you can't miss out on this show. I just hope we get more episodes soon! You sound just like her! I just love Judy Garland, and this is halarious and amazing. So I just found This podcast looking for something to drown out the noisy children at the make up table for my show. and i can't wait to listen to it. What an Extrordinary idea. Thanks Alot pal I hope there is more to come. The show is infrequent at best, but well worth the wait whenever a new show comes out. If Judy were still around and had a podcast, it WOULD be this. Oh, Judy, I jumped out of my seat when Carol mentioned having sung at Joan Crawford's wedding and you said you saw it on U-boat...uh, YouTube! All my videos are down, now, but perhaps I'll re-post them again on MySpace just for you! It's so nice to hear your voice again! This show takes you back and all over the place with "celebrity" voices and witty word play. Not a weekly show, but always worth the download. This podcast is the best one on the web! Extremely smart, well written and truly entertaining! This faithful listener highly recommends and challenges anyone to make it through an episode without cracking a smile and gaining appreciation for this one-man-show! Yuck! Avoid at ALL cost! I am stunned to find heaps of unworthy praise for this very UNFUNNY, unrealistic horrible sounding Judy wanna-be. I unsubcribed due to how distasteful and downright awful sounding he was. I can only assume the cheap "praises" he recieves are by those who really are looking for Judy the drunk, and buy into that whole personna. He doesnt serve Judy's legacy well in any way, shape or form. He plays Judy was an english accented, slurring drunken woman. Billyboy, we love Judy and, ..... your NO Judy Garland. Absolutely brilliant! Don't miss this podcast! This podcast is just amazing. The impersonations are so good they are spooky. It feels like Judy just got done doing the Johnny Carson show and sat down in front of a microphone and recorded. I've never been a Judy fan but this is turning me from a straight woman into a gay man.